He trained as an actor and gained a BA at the University of Cape Town. He has lived in London since 1972, apart from two years in Zimbabwe 1980 - 1982. He was awarded a BSc first class (1976) and a PhD (1984) in Social Anthropology from LSE. He was appointed in 2000. He was awarded an honorary D.Litt by the University of the South Bank (2010). He was writer in residence at the Royal Court Theatre from 1995 to 1997. At the Young Vic, he led the campaign to rebuild the theatre which reopened to much acclaim in October 2006. 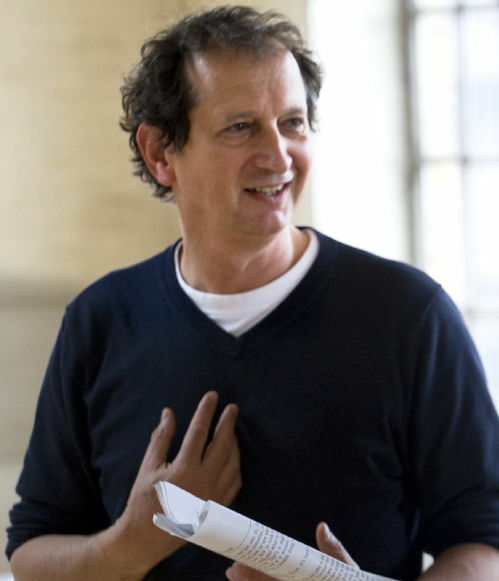 He also initiated the Genesis Directors’ Project, the Jerwood Directors Awardand the Young Vic Award. In addition to his many plays, libretti, and films, he is the author of the non-fiction work Guns and Rain: Guerrillas & Spirit Mediums in Zimbabwe (1985)  about Zimbabwe’s struggle for independence from colonial rule. Some of his stage works reflect his academic interest in aspects of African religion, including spiritual possession and cargo cults. He has also written and directed a number of documentaries for the BBC, mostly set in Africa. He was co-director of the 'Young Genius' season at the Barbican in 2005 and of 'World Stages London' at theatres across London in 2012. He currently chairs the Belarus Free Theatre and is on the board of the Motley Theatre Design School and the Institute for Medicine and the Performing Arts.